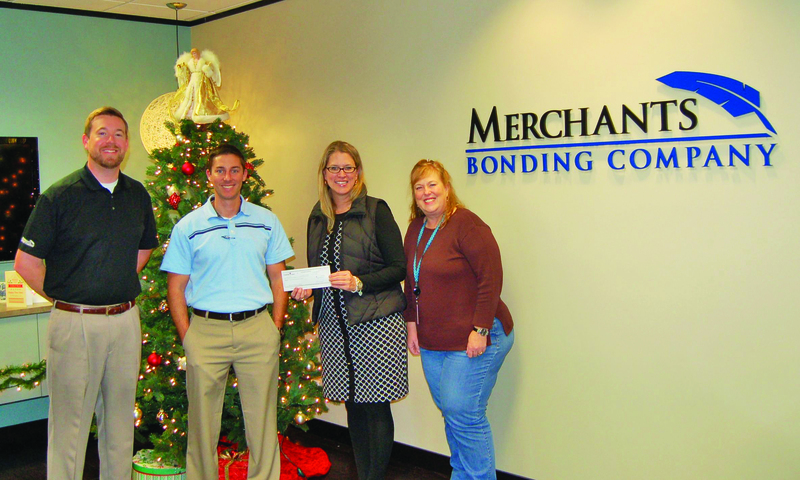 The Merchants Bonding Company™ Austin Charity Committee presented a cashier's check for $1,150 to Missy Strittmatter from the Ronald McDonald House. Committee members Vice President Keenan Lehmann, Contract Underwriter Damon Wagner and Contract Underwriter Assistant Kathy Wilhite collected money for the organization throughout 2013. At the beginning of the year, the Austin office voted for the Ronald McDonald House as the 2013 charity beneficiary. The Ronald McDonald House provides a place for families with sick children to stay at little or no cost. Families enjoy home-cooked meals, private bedrooms and playrooms for their children to enjoy while their family members are hospitalized.